Here is the verdict of the Fans Panel after FC Halifax Town’s 2-2 draw at Leyton Orient on Saturday. Man of the match - Jacob Hanson was excellent today, his passes were accurate and his speed down the wing made it hard to see why he hasn’t been in the first team all season. Moment of the match - The opposition’s goal just before half time changed the game, had town come out with a two goal lead things would have been different. 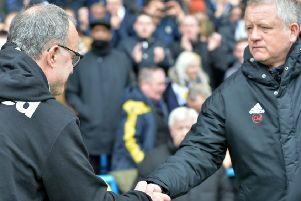 Moan of the match - The card happy referee spoiled the match, while there were some tasty tackles, there certain was not a need to give over a third of the players on the field a yellow card. Man of the match - On a day when every Town player gave their all, Nathan Clarke gets my vote. Against his former team, he was determined to show his best form, and he certainly didn’t disappoint. He came into the bar afterwards to give a speech to the Orient fans as well, getting a good reception as you would hope and expect! Moment of the match - Our second goal, with Devante Rodney turning well and hitting the top corner with a sweet shot was Town’s highlight today. To be fair to the others, there were plenty of heroics with our defenders throwing themselves in front of goal attempts. Moan of the match - More a frustration than a moan. We should have won this game, but we tried to let the ball run out of play instead of clearing it, conceding the corner which led to the equaliser. Four substitutions and no injuries or timewasting suggests two minutes of added time, so where the referee found five minutes we’ll never know. Strange how these decisions always seem to favour the top teams. Man of the match - Sam Johnson. There were many good performances on Saturday but Sam Johnson stood out for a good all round display. Orient created numerous chances and could easily have won the game comfortably but the back four along with Sam worked wonders to earn a great point. Moment of the match - It has to be the fourth minute of first half injury time. 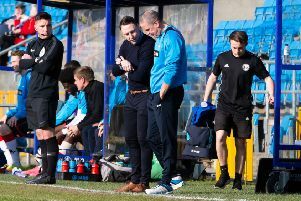 The Shaymen had just gone two goals up, the fourth official had signalled just two minutes additional time but the referee allowed the half to continue. Orient scored moments before the half time whistle which gave them great encouragement in the second half. Moan of the match - The referee had a shocker, he was card happy and managed to book seven players in a game without a bad tackle. What an idiot. Moment of the match - Devante Rodney putting Town 2-0 up with a superb finish from the edge of the box. Just a shame we conceded straight away after. It would be brilliant if we could keep him next season. Moan of the match - The referee had a truly shocking game. Gave about eight yellow cards when only a couple of challenges merited it. Several times booked Town players and then let Orient ones get away with worse. Very biased showing. Man of the match - For me this week Josh Staunton. Some huge tackles and body on the line moments saving town when we were under pressure. His best performance in a Town shirt so far.